Manila Diamond Hotel the ultimate 5 star accommodation. 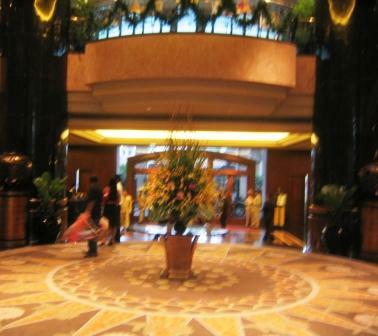 Manila Diamond Hotel, pure opulence, come and see why! A world-class 5 star hotel of exceptional beauty and elegance, the 27-story, 500-room Manila Diamond Hotel basks in Manila Bay's magnificent sunset. It is only minutes away from shopping malls, museums, parks, convention and exhibit centers, business districts, and sport complex's. The Diamond Hotel's luxurious guestrooms, bars, fine-dining restaurants, amenities and special facilities provide one of the most exquisite accommodation options in Manila. Manila Diamond Hotel is central to everything. The hotel's location makes it less than nine kilometers from Manila’s airport, accessible to Manila's recreational, business, and commerce districts. At the Diamond Manila Hotel, you are literally minutes away from Manila's finest and most popular malls, night life, business and financial districts of Makati and Ortigas City. Each of the hotel's 500 guestrooms reflects a distinctive and modern style complemented by superb amenities and accommodating staff for your utmost comfort. From the comfortably luxurious beddings and furnishings in warm earth tones to the wide bay windows for a breathtaking view of the Manila Bay sunset and the cityscape. The Diamond Hotel has nine impressive and fully-equipped function rooms for any event. The Diamond Ballroom, the grandest function room in Diamond Hotel, The Galaxias, an elegant Renaissance-inspired mini-ballroom on the 27th floor, two conference rooms and five meeting rooms. Hotel staff meticulously attends to guests' inquiries about their upcoming functions because they appreciate how important each event is for their valued guests. Be it a corporate affair or a once in a lifetime wedding reception, Diamond’s Events Lounge is where a guest can plan an event. Business and leisure travellers will appreciate the delectable cuisine and impeccable service, including WiFi access in all restaurants. One of the hotel’s pride and joy is the Sumibi Yakiniku dining at the Yurakuen Japanese Restaurant. Yakiniku which literally means grilled meat is a traditional Japanese interactive form of dining where guests can enjoy cooking their own food over charcoal. Of course, you can also enjoy a refreshing dip in the hotel’s pool and spend a lazy day getting a tan under the tropical Philippine sun. Plus, the hotel has an exclusive Diamond Spa which offers the perfect recreation and relaxation facilities for all guests and club members. Give your body its much needed pampering at the spa and you’ll walk out of the Diamond Spa feeling totally refreshed, energized and stress-free, whether you choose to relax with a really good massage or get your heart pumping at the gym. You can also lose weight while having fun. Enjoy a game of tennis at the hotel's outdoor tennis court. A professional tennis instructor is always available upon request. Playing equipment and court are charged on a per hour basis. There is also a sundry shop at the hotel’s lobby for a wide array of items for your travel needs and souvenirs. Goods range from toiletries, books and magazines, flower arrangements, candies, chocolates, and snacks. Also available are toys, Philippine handicraft, leather goods, ladies' and men's apparel and accessories, and an exquisite jewelry collection. Is the Manila Diamond Hotel worth the money? The Manila Diamond Hotel may only be one of the many five-star hotels in Malate, Manila, but you won’t be disappointed if you booked a room in this grand hotel. You can get an idea how much accommodation will cost you. 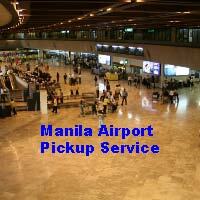 Now if the Manila Diamond Hotel is not right for you, click here for other hotel reviews in Manila. If you would like more information on the Manila Diamond Hotel, just fill out the form below. 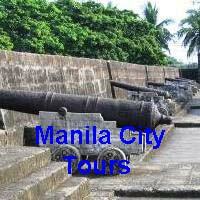 Or if you would you like to talk to someone about Manila Diamond Hotel? Click on the icon below for online live support. One click away from live help! Have YOU stayed at the Manila Diamond Hotel? 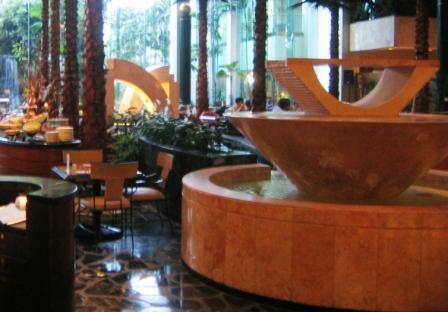 Share your tip or review on the Manila Diamond Hotel with everyone!